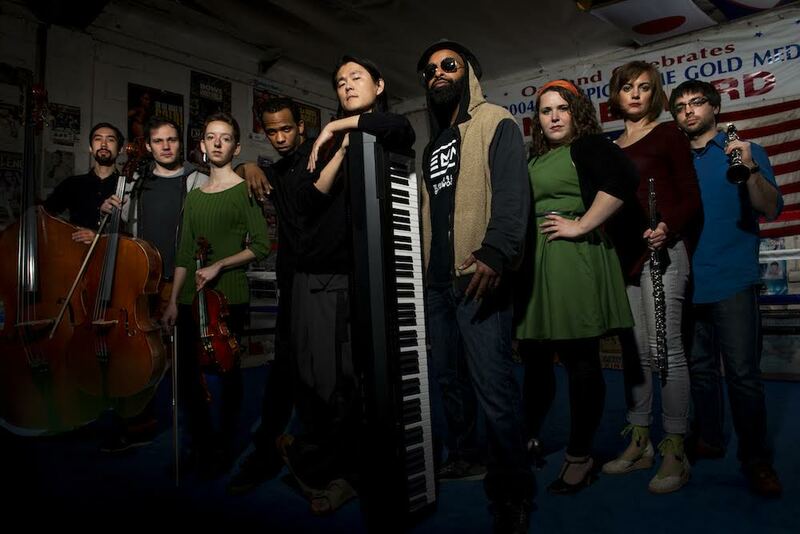 Led by composer/pianist JooWan Kim, Ensemble Mik Nawooj, the 10 ten-piece HipHop orchestra with Emcees/lyricists Do D.A.T. and Sandman, a soprano, winds, strings, funky drums, and piano, injects classical compositional techniques to the most inspirational genre of music, HipHop, you can't go wrong. The result, “proves HipHop is a complex art form” (Sac Bee) and has been “dropping jaws left and right with its mix of seemingly un-mixable genres” (OZY). Most recently ESPN has commissioned EMN to reimagine “California Soul” for the network’s 2016 NFL Super Bowl programming. EMN has been featured on Wall Street Journal, NPR, SF and Chronicle, not bad for a band of scrappy young artists coming out of Oakland.